Due to the current economic situation credit is now being granted with the highest qualifying criterion that we have seen in decades. And because society is becoming increasingly dependent on using credit to make purchases; as well as employers using the ratings to make employment decisions it is up to you to make sure that your credit is in and remains in good standing. Before we begin let’s be clear about two very important things, number one, there is no quick fix for a poor credit rating. Repairing your credit usually takes around 6-12 months. During this time your willingness to be patient will be vital. And even with patience some items can be extremely difficult, if not impossible to remove, for example bankruptcies, tax liens, judgments and child support. And number two, credit repair is designed for individuals who had past problems but are currently on their feet financially. Now that you’ve been duly informed, let’s get started. Following the steps of this basic credit repair process will guide you in getting your credit back on the right track. Get a copy of and review your credit report. Go to “annualcreditreport.com” for a free copy of your report and then go to MYFICO.com to purchase your credit score. Thoroughly analyze your report to locate the problems. Write a dispute letter to the three credit bureaus; Experian, Equifax and Trans Union. Clearly identify each item that you are disputing and why. Never dispute your report online because you will not have any written record of your dispute. Send your letters by registered or certified mail, return receipt requested. Document everything, record when you sent the letters and the results. Keep a file. Documentation is very important because under the Fair Credit Reporting Act credit bureaus have 30 days to respond with the results of an investigation. Wait for the credit bureaus to investigate your claims, which usually takes around 30 days. If you do not hear from them within 30 days they must remove the item. Analyze all of the results you receive and repeat process if necessary. Once the needed repairs have been made to your credit report, following the steps below will help you achieve your ultimate goal, good credit or even better, great credit. Pay your bills on time, all your bills not just your credit cards and loans. Keep your credit card balances low. Your credit card balances should be within 30% of your credit limit to maintain a good credit score. Limit your applications for new credit because each time you apply for credit, whether a credit card or loan, your credit score takes a small hit. Don’t close out old credit cards, losing that credit history will shorten your average credit age and cause your credit score to drop. 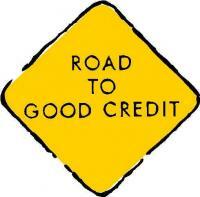 Watch your credit report; errors could end up on your credit report leading to a drop in your credit score. Though this process may be time consuming and frustrating at times, it will definitely be worth your while. In the long run it will pay off with more money in your pocket and less stress in your life.